This collection brings together the sorbet skies of first light combined with the earthiness that is the natural beauty of Tulum. Dive deep into the heavenly hues of La Sirena via a sun bleached colour palette inspired by delicate pastel shades of fresh fruits and feminine florals. 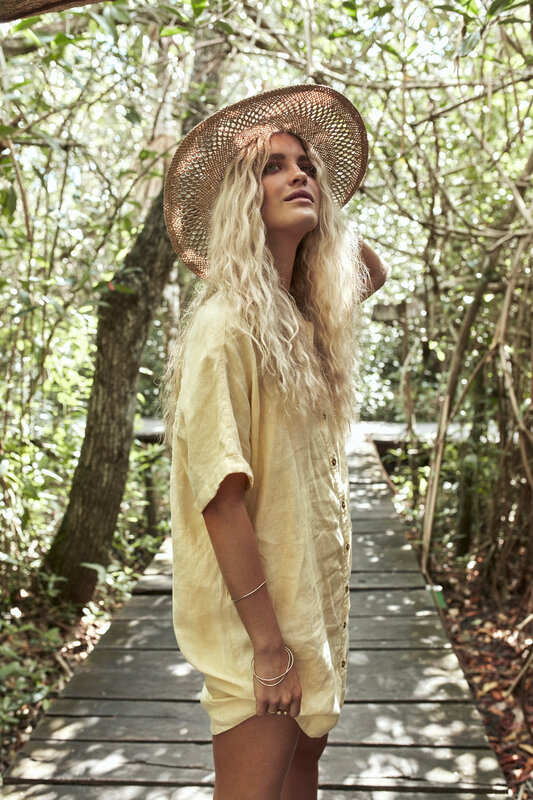 April ‘19 takes you on a journey through Tulum’s sweetest spots and hidden treasures alongside our mermaid muse Laura.